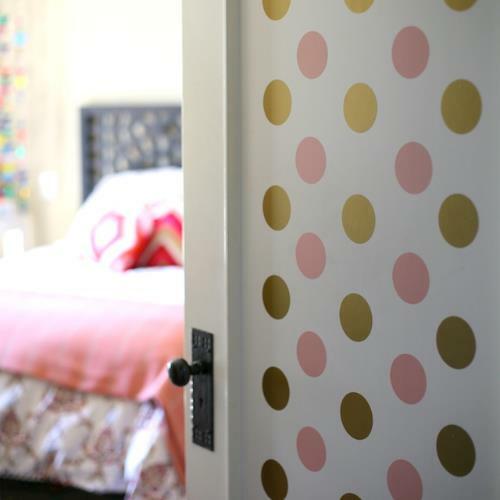 Bedroom Door Makeover with Decals DIY — my.life.at.playtime. When I first saw the Walls by Mur decals, I knew I had to have them. I had no idea where or when they'd be used, but it was one of those "I NEED THIS!" moments. The circles, the triangles, the possibilities! 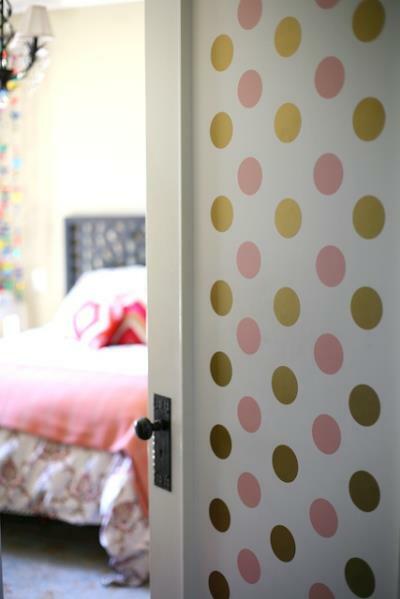 Pink and gold dots found their way to my doorstep and I finally put them to use on Greta's bedroom door. Since her room recently got a little mini renovation, I thought her door could use a little fun pop, and that's just what they provided. Scroll down for a discount code for My Life at Playtime readers! To start, I really had no idea the pattern I wanted, so I stuck some washi tape pieces on the door to get a feel for the way I wanted to arrange the dots. I ended up liking the 2 dots followed by 3 dots pattern. Since I didn't have a level handy, and I didn't want to completely drive Aaron crazy with measuring and marking, I found this little trick extremely helpful. 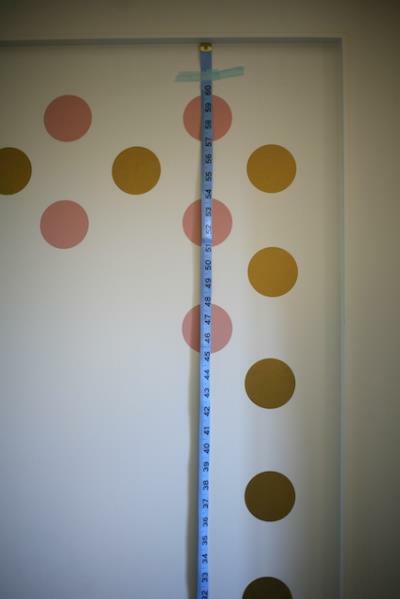 I taped one of my measuring tapes for sewing onto the door and it kept great track for me of where I needed to go next. Was it a perfect system? No, but I had done enough research online to know that you could be off a little here and there and the overall appearance would not change. And they were right. Also, I had a credit card handy when I was applying the decals to help smooth them down and get any air bubbles out. Now every time I enter her room I just smile! This post was not sponsored by Walls by Mur, but they are offering readers a discount on their products, use the code 'discount10' at checkout!